Burnaby dental patients are enjoying straighter teeth and a healthier bite thanks to Invisalign® Provider, Noburn Dental Centre. Invisalign is an innovative alternative to traditional metal braces, using custom-crafted, form-fitting dental trays. They offer a completely clear-colored and removable solution to a more beautiful smile and a more confident you. 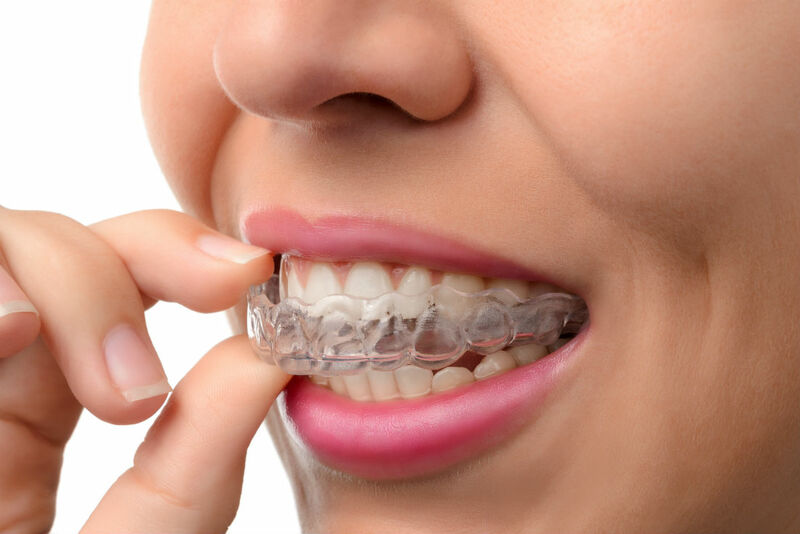 At our dental practice we are proud to be recognized as an experienced Invisalign provider in Burnaby and we continue to correct smiles for patients who choose this alternative clear aligner procedure. We are pleased to offer Invisalign for adults as well as teenagers. This is a technique for straightening teeth through the use of a series of clear trays. It is a nice esthetic alternative to traditional metal braces. The other advantage is ease of cleaning the teeth during orthodontic treatment as you simply remove your trays and clean as you normally would. Overbite – This problem occurs when the upper teeth project further than, or completely cover, the lower teeth. Eventually, worn fractured teeth, jaw pain and Temporomandibular Joint Disease may occur. Invisalign® is preferable to veneers in many cases because unlike veneers, Invisalign® actually straightens the teeth. More importantly, Dr. Deheshi has been integrating Invisalign therapy to patient needing cosmetic dental care such as veneers. But incorporating Invisalign therapy Dr. Deheshi is able to place teeth in a more favourable position to reduce excessive tooth reduction as well as have better tissue response (no puffy gums!!!). Consult us to see how we can incorporate these treatment to get a more predictable and natural result. First, the dentist needs to devise an initial treatment plan before creating the special aligning trays. Three-dimensional digital images are taken of the patients teeth and jaws. These images allow the dentist to move specific teeth on the screen, view the arch from different angles, and also foresee what the teeth and aesthetics will look like at the end of treatment. Life with Invisalign® aligning trays is generally simple to get used to. The trays should be worn constantly, except when eating and drinking. It is important to remove the trays when consuming food or drink because food can become trapped between the tray and the teeth, causing tooth decay.